Snuza® HeroMD baby monitor is a wearable device which attaches to your baby's diaper and monitors your baby’s breathing. The HeroMDdetects the slightest of breaths and will alert you if breathing is weak or less than eight breaths per minute. 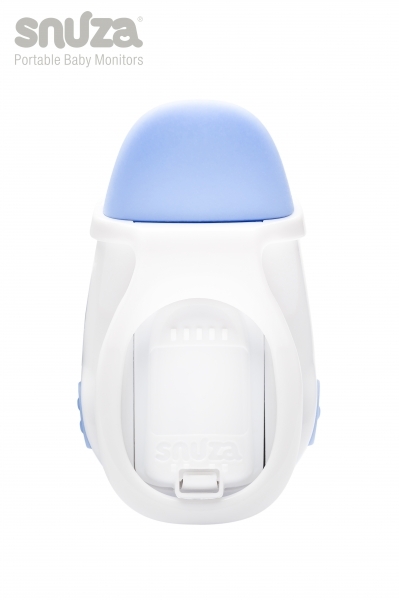 If the Snuza® HeroMDdetects no breathing for 15 seconds it willvibrate in an effort to rouse your baby to resume breathing. Often the vibration is enough to rouse the infant and HeroMD will revert to monitoring mode. However after three vibration/rousing incidents, a Rouse Warning will alert you that breathing has stopped for 15 seconds on three occasions. If an additional 5 seconds of no breathing is detected a sharp audible alarm will sound. 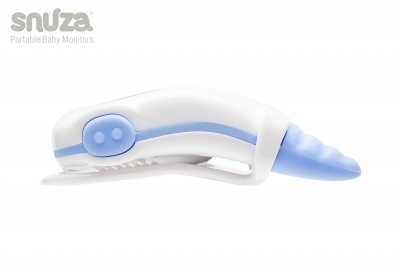 The Snuza® HeroMDcan pick up external movements and it is therefore not suitable for co-sleeping or bed-sharing. 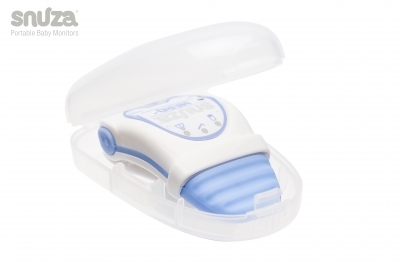 It is advisable not to use the Snuza® HeroMD when the baby is in motion, e.g. in a car seat or a stroller.